Ms. Inglish is a successful Employment & Training pro setting Midwest regional records with tens of thousands placed to gainful employment. 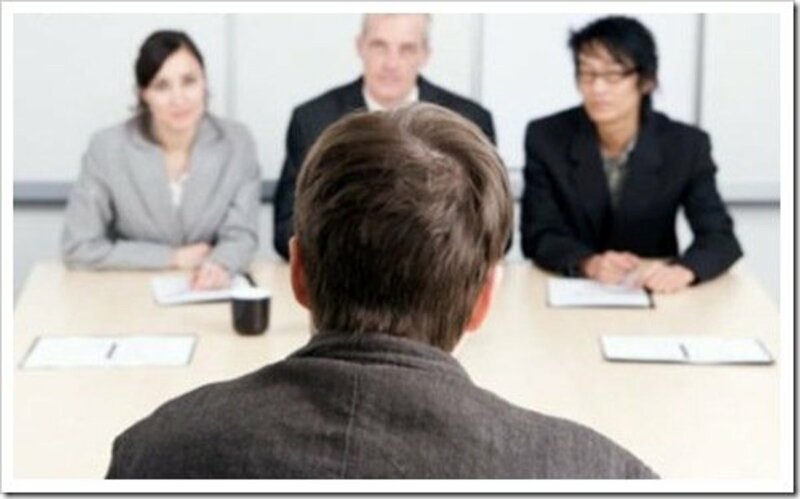 Many job candidates are nervous about participating in a job interview. After much hard work writing countless resumes, cover letters, and job applications, these individuals hope that they will interview well, impress the hiring officer of the company to which they have applied, and finally get hired. 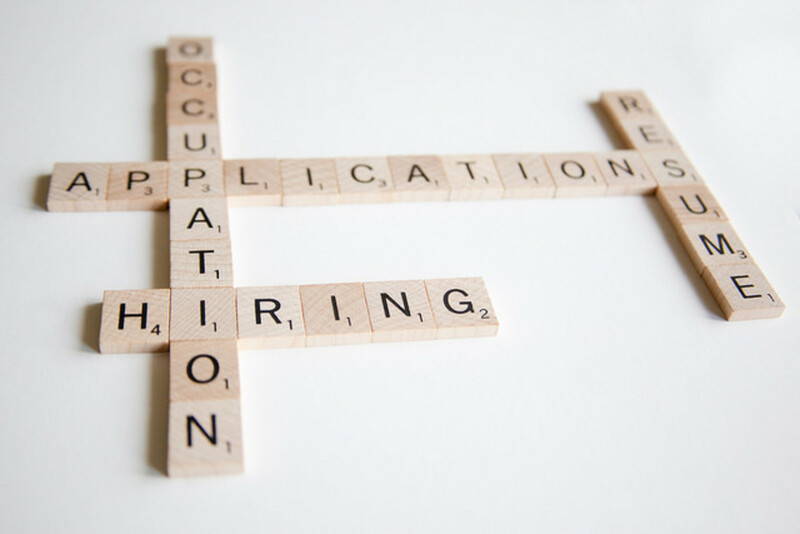 With some practice and preparation, employment interviewing need not be a mystery or a horror. In fact, it can be enjoyable, informative, and even fun. In addition, every interview that you complete will make you more practiced in the art of interviewing. By continuing to interview for jobs, you will learn the range of variety of questions and scenarios that may confront you. Then you will be better prepared to win the job of your dreams! There are many different comments that are inappropriate to make during a job interview. I gathered these ten things from my years of workforce development assignments with employers in my area. 1. How much does this job pay? 2. What does your company make/do? 3. Slang words or phrases. 4. What are the benefits, vacations, promotions, and bonuses? 5. Curse words or profanity of any kind. 6 Stereotypical language about other people. 7. Anything critical about a former employer. 8. No, I have no questions for you. 9. I don't have any weaknesses. 1. How Much Does the Job Pay? Some applicants ask this question before the interviewer has a chance to even ask his or her own first question, and this is a big mistake. To ask about money first makes it seem as if all you are after is money, possibly with as little work as possible. As a rule, wages and salaries are not discussed during the first interview. If they are discussed, this will occur at the end of the session and usually via the interviewer asking what salary you expect. Give a range of salaries you can accept, rather than a fixed amount so that you do not limit your earning capabilities too tightly. 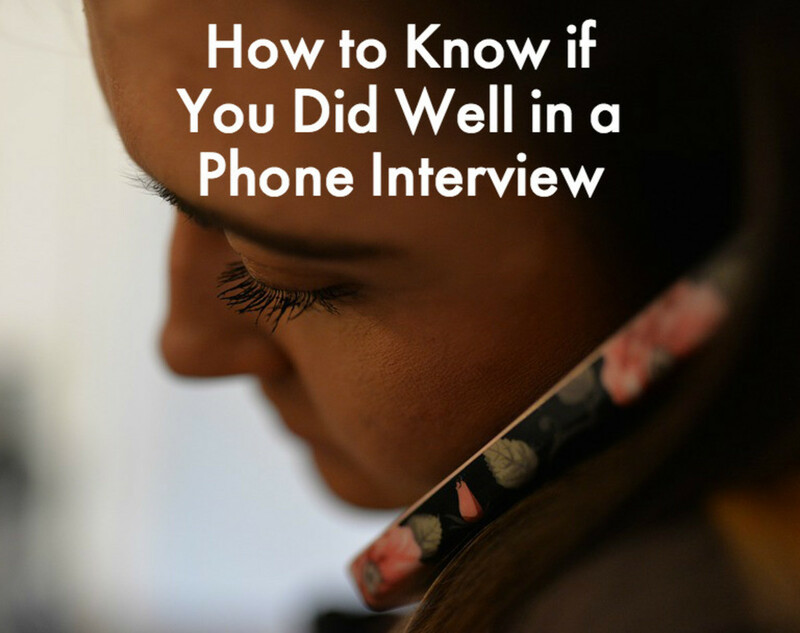 You may have three interviews altogether with one company. If money is discussed, it is up to the interviewer from the company to open up that subject. If he asks you how much money you want, have a range of salaries ready to provide. First, however, research how much the job you want really pays in your town and state, then come up with a range of a yearly salary to request. Look at Salary.com for help with this. Example: Let's say an auto mechanic makes $35,000 a year in your city after working five years. When you apply to become an auto mechanic, state the range of pay you want as $32,000-$38,000 a year, or similar. Or you could use a broader range, like $30,000-$40,000 a year. Make sure it is a realistic range. For example, if a fast food full-time grill man in your town usually makes $13,000 per year, don't interview at that restaurant and ask for $20,000-$30,000 per year. A job candidate must research the company for which they want to work before going into a job interview. Look the company up on the Internet and read as much as you can about it and take notes. Many company websites feature tabs for "About" and "History," so make sure to read them. Try to find the company's annual report and read it. Your local libraries can help you do that. The interview is not a casual conversation with friends on a street corner or in a lounge. The interview is a formal conversation and requires the use of good English grammar. There is not time enough during an interview for the interviewer to figure out what you are talking about. On the other hand, even if they do understand you, you are being disrespectful and overly casual by using slang. You will also sound like you are playing and not serious about doing good work, and the interviewer won't take you seriously. Just don't do it. Hiring officers and job interviewers like job candidates with self-confidence, but they do not like people who are selfish. The first interview you have with a company is all about what you can do for them. You are not doing them a favor by interviewing with them, so keep these questions until the second interview or until the interviewer opens up the subject. The interviewer will ask you why the company should hire you and then you can more fully emphasize your skills, talents and contributions you have to offer them. Be prepared to tell clearly what specific ways you have helped your former employers. The truth is, our language does betray us. Our words are a direct reflection of our thoughts and anyone who is incapable of expressing him- or herself without the use of profanity is handicapping themselves to an incredible degree. You must never curse, cuss, or use any kind of profanity in any job interview. Profanity includes scatological references like the the word "p*ssed," as in "p*ssed off." That is cursing by using references to bodily functions and it is profanity. In addition, do not say "damn", "hell", the F-word, or, of course, the N-word. In addition, women are women and not "girls" or "‘hos." Do not refer to people of other genders, sexual orientations, nationalities, ethnicities, races, handicaps, religions, or any other diversity by using any slang, negative terms, slurs, or other denigrating language. Ever. Again, see the Zig Ziglar quote above. Bashing a former boss, or criticizing them in any way, lets the interviewer know that you will do the same to them if you leave their company. Instead, you can explain that you had a difference of opinion with your former employer in work philosophies or styles. Do not dwell on your answer about an employer where things did not go so well for you, and make it short. If you are asked if you have any questions, don't say "No." Saying NO says to the interviewer that you are not very interested in the company and not very smart. So be smart. When you research the company before your interview, come up with at least three questions to ask about the company itself during the interview. For example, ask what plans they have to expand in the next 10 years, or ask what new products and services they might be considering. This is not the time to ask about salary and benefits, either. You will likely be asked what strengths and weaknesses you have. If you say you don't have any, the interviewer will believe that you are lying or that you are not thinking. You can say that you don't like to waste time on small talk and are working on being more friendly in the workplace. This is a positive "weakness." Further, you can choose one of your still-developing skills and describe how you are working to improve it. This type of Continuous Improvement is always appreciated. The interviewer will ask you to tell them a little about yourself, but this means where you went to school, what you accomplished in school, where you have worked, and how you have helped your former employers. It can include a little about hobbies and volunteer work, but don't dwell on these things. Don't tell the employer anything that will lead them to knowing your age (unless you are under 18), race, policies, gender-related orientation, religious beliefs, medical conditions, or other personal information. Legally, until they are offering you a job, the employer is not allowed to even ask you if you are married, have children, or are planning these things in the future. Interviewers can ask you what certifications and licenses you have relevant to the position. If they ask you what nationality your last name is, politely answer that you don't know how that is relevant to the job, but that you would like to discuss your qualifications. If they ask you how old you are, tell them that you will gladly provide that information after you are hired. The exception to this is if you need to be at least 18 years old to work for the company in the USA. If you are 21 and look young, you may have to answer this question. Finally, do not bring up personal problems in a job interview, including divorce, breaking up with a girlfriend, bankruptcy, etc. Vulgar, violent, improper language or coarse, racist, sexist jokes will limit opportunities in the choice of a mate, the selection of a job, the building of a career, and the establishment of friendships. The message is clear: Learn the language rules; practice them in your everyday life." 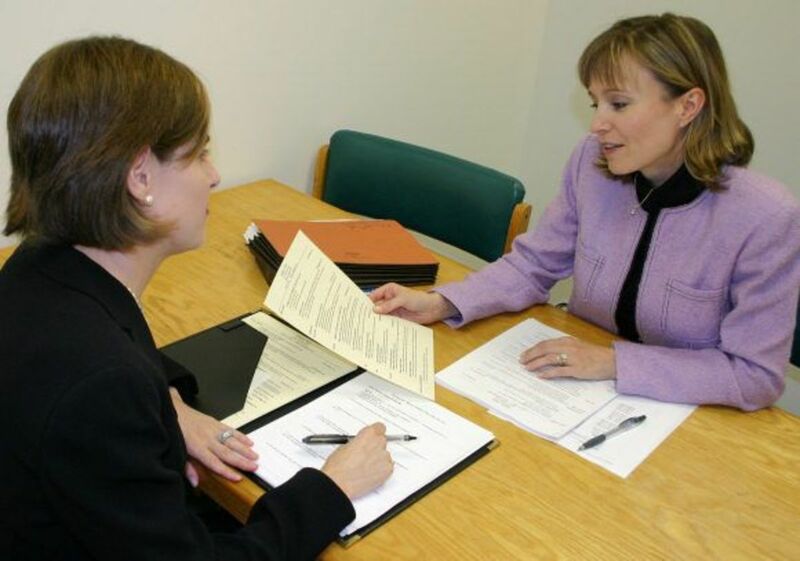 Experiencing a work readiness class or mock interviewing class or workshop can be a big help in knowing what to say and what not to say during interviews. There are also things that your potential employers' representatives should not say to you or ask you. As a person who has dealt with human resource departments and managers across various fields as well as engaged in hiring for businesses in my life, you are spot on with your tips. According to one recent study, managers recognize effective "verbal communications" as a highly desirable skill; nothing tests that better than during an interview. As people prepare for the interview, they would want to learn the specific language of the company if possible. For example, Google may call one type of procedure one thing, while Microsoft may use slightly different language. Speaking the language of the company gives a person an advantage. I once had a client who went in and told all of her life's story - good-bye job. Another asked quickly about the benefits of the job - hello, exit. Your tips also fall under common sense, but sometimes, people need to be reminded of how to "put their best foot forward." This was a very helpful and informative article. Thanks. @E.A. -- Proper preparation for the interview, in fact, is checking the salary range compared to the customary and usual amount paid in your metropolitan area for the job you want. Sites like Salary.com and others provide an easy, free, accurate search agent for that information. Get that info. Then call the company and ask what the salary range is for the position you want. If HR will not give you that info, use job search engines and look for the job title you want in the city where you want it and read each posting for salary and benefits offered. Look at several entries, perhaps take an average of the salaries offered, and decide what is appropriate to ask as compensation, based on that research. If you feel interviews waste your time without asking first thing about salary, you likely would be more successful in starting your own business and controlling your own income. If a person spends a few hours preparing and interviewing for a job, and then finds out at the end of the interview that the salary will not pay enough to make ends meet, then it was a waste of time (except getting some experience job interviewing). Isn't it better to know the salary range before going into a job interview? It could be your dream job but if you don't make enough to pay the rent or buy food, i.e. taking care of your well being, then you won't be happy. @Nate - Body language is important, as you point out, and practicing mock interviews on video or with a friend or instructor can help perfect one's personal presentation in an interview.. I agree that a job can seem to be one thing in an interview and turn out to be entirely different day-to-day - agonizingly so! Asking questions during the interview can help get to reality, at least somewhat. Thanks for your views and experience! I do love interviews and I use these skills as recommended by the author of the article and I always ace my interviews. It's good to prepare yourself and let your body language talk for you as well and pay attention to the body language of the people interviewing you. Use proper grammar but assess the company culture as well. It should also be noted that even if an employer wants to employ you it does not mean you are meant for the job and might be unhappy working at that company. It will look equally bad on your CV if you job hop. So my advice is to have a career plan and to have plan a-c, meaning at least 3 different companies in mind. Also don't seem desperate or conceited. Listen to your 6th sense and to the panel of interviewers. Pray and believe in yourself and what you have to offer. Great informative content & will be very helpful for all job seekers. Whew! I'm sure glad I'm retired and not in the job market. The last time I was, I failed to get the job, and I did not break any of the rules. On the "why should we hire you?" question (AFTER I'd already outlined my strengths and skills I could offer--which they already knew, anyway--see below), I answered, quite truthfully, that "I'm a mature woman, responsible and reliable with no wild oats to sow, meaning I won't have the Monday flu or other such issues." After that, I went the self-employment route with my new husband. I truly believe it's as my father used to complain: "They want someone 20 years old with 40 years experience." That's true. I look over this Hub every time I prepare an interview. Thanks for commenting! Very helpful hub! Although I'd like to think that some of these are common sense (don't stereotype, don't curse, etc. ), the more specific tips are incredibly helpful to everyone, even as just a reminder. I will definitely review your hub before I have another job interview. It can't hurt to be ultra prepared to make a good first impression! They won't tell you what similar jobs' pay range is, siting company policy that salaries paid are not to be revealed even to each other by either employees or management. I would research the job title on Salary.com, where you can find the average pay range for your own city and state or any other city and state. If you know the average pay range for your area, then you can speak with greater confidence when you state a range that you want. Whoever states the salary expectation first is usually the loser - the company that offers a figure ends up paying higher than the worker would accept or the new workers ends up receiving less than could have been asked. It is true that interviewers often ask about salary up front in an attempt to pay the lowest possible for a job. So, a salary range is better to state than a fixed annual amount. However, if they insist on pinning you down to a figure, then state the mid-point of the range that you researched, or even a bit higher. My understanding was that you didn't discuss money until you received an offer to take the job. Recently it seems they often ask what salary you expect as part of the interview. Is it acceptable, if they ask, to ask them in return what a similar job's salary range is? If you say you'll take $20/hr but they pay other employees $30/hr, they'll be more than willing to pay you less? Thanks for sharing. I too think that one needs to keep the above things in mind while appearing for an interview. Job interviews are tricky. Just show them your a leader and not afraid to make mistakes. The safer you try to be the less opportunities you will have. You may be right. Using email, facebook, texting, etc. sure is different from face-to-face interactions. I have conducted several job interviews due to my position as director, and this article would have benefited everyone who came before me seeking the job. Kids today don't know how to put their best foot forward. I blame it on the Internet (LOL). Ha ha :) -- That would be OK in Japan, where bosses in some companies often take their teams to the bar for dinner and then back to work! So asking if there is a bar nearby is likely a bad idea, right :-) Great article! Hi Mel - I may have seen a lot, but I see even wierder things happening in interviews as I read the case studies of them in monthly trade publications. My jaw drops very time! Thanks for commenting! All of these items seem to fall into the category of "common sense," and I am amazed that anyone would commit such serious errors, but human nature never ceases to amaze me, and I am sure that you as an interviewer have seen it all and are even more perplexed than I am. Thank you for compiling this useful information. Thanks sincerely for reading an dposting a comment. These tips really work. For example, I hear from employers telling me every day that they do not like employees to ask about rate of pay too soon, so it's a continuing problem. As times change, other "dont's" may arise as well, or in place of some of these. .
Patty Inglish: Thank you for writing this hub and helping people to navigate their interview better :) I like hubs on common sense :) Have a wonderful weekend. This is a great hub! Some really excellent job advice! Things to never say in an interview. Words for the wise job applicants. I'm sorry, but I do not quite understand the question. Can you add some releant information? That's one of the first things I learned while having my first job interviews - not to talk too much or give too much information. Thanks for yur kind comment! Excellent work! This hub will definitely help aspirants in facing their interview. I like this point "Don't tell them your life story". You have done great work. I certainly hope that some of these ideas help you, vibesites! Interviews can be nerve wracking. Thanks for your wonderful suggestions... my only mistake I think has been "None, none at all" whenever I'm asked if I have any questions. I will think of a good one so that I can show to my prospective employer that i am indeed interested to work for his/her company. Voted up, useful and shared. Good suggestions! I have Hubs with several lists of questions myself, all gathered from real experiences and my teaching of Work Readiness and Interviewing classes. Very helpful hub on the "don't dos" during an interview. It is best to practice answering the questions you think may be asked on the interview ahead of time and have some examples in mind to plug in where applicable. The internet has a wealth of information available. You can search for performance based interview questions and study in advance for the real thing. A lot of people do so under Achievements, if they have won sales awards. 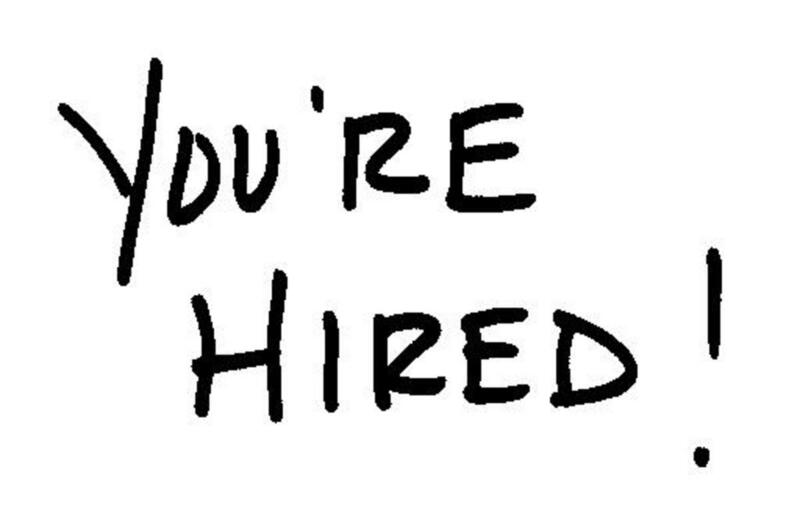 do you think that you should disclose how much you have sold for a company within a resume? They would likely ask you that question themselves. Masybe it's the stress and difference from a more normal conversation with a person. Interviewing puts one in the hot seat, for sure. I'm enjoying your comment - a story in itself! Very refreshing. Number 8 gets me every time. My standard answer when I get the brain freeze for this particular question is, "Yes, I have some questions, but for now I'm good." Argh, lame. I don't know why this particular question stumps me. I know it is coming! The other questions, even the one about pay (whatever is the going rate) are easy, but for some reason this one gets me every time. Still, I figure I have applied for about 30 jobs (is this possible??) and have been turned down for two. One job that needed a lot of math skills (ha!) and the other one where I had a different kind of brain freeze and couldn't say how to explain the subjunctive to French students. Argh! I was hitting the heel of my hand to my forehead the whole subway ride home. What is different do you think about this particular question? I guess most of the interviewer's questions are about the interviewee, but questions about why I want to work for a particular company are easy to answer. Maybe too open ended? I agree with your above comments that a few prepared questions are key. I think I even have tried to do this, but still get the dreaded brain freeze..
Much success to you in your employment seeking! I am doing a job hunt and I am mentally preparing myself. I hope to make a great impression in the upcoming job interviews. These key points are going to help me a lot. So, thank you very much, I greatly appreciate getting educated in proper and professional interview etiquette. Have a awesome new year. Correct, it is French. She had a hard time pronouncing it at the end of the interview she said something like this "If you don't mind me asking, what nationality is your last name?" Sounds French or Belgian to me. I wonder what nationality she thought it is? Thanks Patty, I actually got my first job by following your advice. If the hospital bylaws do not require its nursing staff to be Catholic, or at least Christian, you probably do not have a problem in hiring. If they indicate nurses need be Christian, you do. Religious institutions are fully permitted to require that in my state and maybe yours. Faith-based hospital administrations can see faith as part of the healing process in daily work and as part of cultural competency in treating Catholics and other believers. If the hospital has a website, access it and look for indications that the treatment staff is Catholic or other denomination. I just had an interview for a nursing position and everything went great except I made a small mistake. I accidentally stated my religious affiliation during the interview, I was applying at a Catholic Hospital...I said that I was not religious but I am very respectful to the role it plays in people's lives. All other aspects of the interview went great, I was confident and answered the questions with great responses. How bad was the mistake I made? Great Hub! Can't wait to read more of your hubs! alphagirl - I am sorry to hear about this and I hear it and similar incidents much too often about interviews. It does seem that sometimes HR wants a worker without outside interests of any sort and that's unreasonable imo. I remember interviewing at a furniture store( ethan Allen) and the manager asked me, "So what will you do with your children when you have to work past 7pm?" I was appalled. I thought the assumption was inappropriate. After the interview was over, I knew the company did support employees with families. I got the sense they wanted someone who had no life, except to work. Your hub has great tips. @meganismith3 - I've also interviewed people that thought they had only to clock in and clock out, but go elsewhere and do what they wanted during the day. They'd been watching soap operas and said the receptionists and their bosses all did this. Not a very good example of working, is it? I appreciate you discussing the use of slang and simply being too casual. I taught high school for years and teenagers and young adults today think they should be able to dress and act "cool" all the time and that they should just be accepted for who they are. They don't understand the matter of giving respect to superiors and acting professional. Great Hub with lots of great information! Thanks. thank you guys, that really help me out. was #5 really necessary? don't most people already know not to say the n-word or 'hos' in an interview? I remember when I asked my employer if he's gonna hire me or not during the interview. I said in exact words, so you are not sure if you gonna hire me? hahaha I just got annoyed then because his interview was too long and it was not like an interview anymore because he was telling his life story to me to which im not interested to hear. Really good tips, we have all been in that hot seat, and I'm sure have all made a few mistakes as noted in your hub. Wish I had this list when I was younger, but at least I can pass this along to my kids. Thanks for sharing! well done you that after 3 years your still at the top of google search and people are still reading and commenting on your work . even though i already knew these tips its always nice to re read them over before you go on the interview. these are very helpful and come in mind when you need some help making a good impression. good luck to all of you. We hope you get your dream job! It depends on what you don't understand. Sometimes, you can call up and ask the recpetionist your question ahead of time, or request the latest yearly public report that companies print. Do you have something specific in mind, Scott? interview preparation - it is good also to be professional after receiving the job! ;) Thanks for posting. I will keep this guides in my mind once I got to a job interview. Thanks for this great post. On a job interview you must be very professional even if you are not because you have to convince the interviewer to pick you. These tips have always worked well for me, and employers have mentioned most of them when I have asked their opinion about interview questions that annoy. Thanks, Silver Poet! Brilliant hub! We need more of this kind of thinking. When people plan ahead and have a little extra info, they should be able to do quite nicely on their interview. It is illegal in America to ask an interviewee that question, but I have no clue as to why you actually were not hired. Did you happen to ask why you were not hired? However, if you answer one illegal question, it is an OK for the interviewer to press you on the subject and perhaps other illegal ones. An interviewer legally can only ask you about YOU, no one else - and unless it is a church or very similar, cannot ask about religion, gender, relationships, children, health, age (except "are you 18 or older? ", ethnicity, heritage, or any demographics. If an interviewer is interested in schedule gaps caused by many crew people attending church on Wed, Thurs, and twice on Sunday, he/she should just ask you about your availability to work each day of the week. Now, if you say you cannot work on Wed nights and Sunday mornings, then he/she might assume you go to church. Same applies to other days of worship for other faiths. I was interviewing for a fast food position. I was asked if i attended church, I said no. I did not get the job. Is that illegal? Very good informative. I'll need it! Patty, your hub is good. I suppose saying "none" means that one does not do any self-examination to find any (?). Thanks for the comment, nathanaelig. I must say, as a new hubber, I'm really impressed with the many topics you write on. I like your advice about never saying you have no weaknesses! So true. I used to interview people and almost laughed at those who said it. Even saying "I am a perfectionist" is lame, but better than nothing!!! My background to date has been centered around preparing myself to become the very best _____ I can become. Let me tell you specifically how I've prepared myself . . .
Because I sincerely believe that I'm the best person for the job. I realize that there are many other college students who have the ability to do this job. I also have that ability. But I also bring an additional quality that makes me the very best person for the job--my attitude for excellence. Not just giving lip service to excellence, but putting every part of myself into achieving it. In _____ and _____ I have consistently reached for becoming the very best I can become by doing the following . . .
What is your long-range objective? Where do you want to be 10 or 15 years from now? Although it's certainly difficult to predict things far into the future, I know what direction I want to develop toward. Within five years, I would like to become the very best _____ your company has. 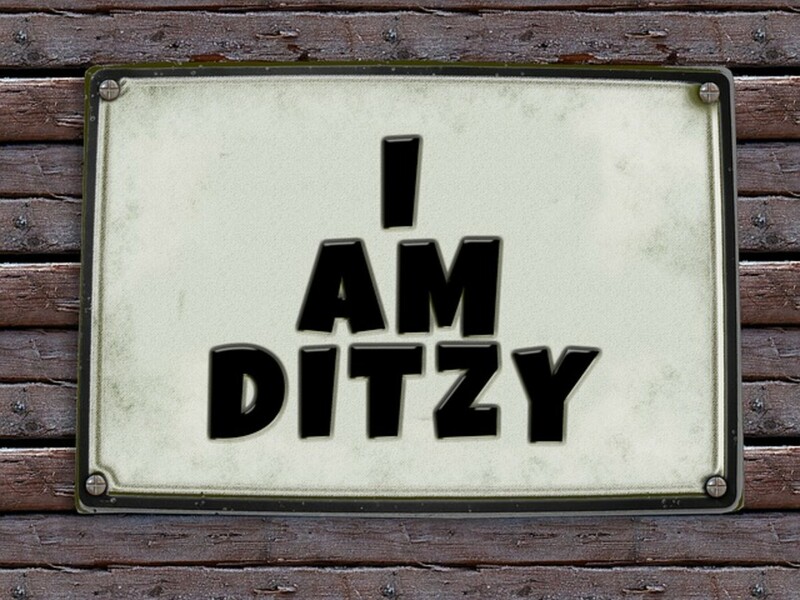 In fact, my personal career mission statement is to become a world-class _____ in the _____ industry. I will work toward becoming the expert that others rely upon. And in doing so, I feel I will be fully prepared to take on any greater responsibilities that might be presented in the long term. As you will note on my resume, I've taken not only the required core classes in the _____ field, I've also gone above and beyond. I've taken every class the college has to offer in the field and also completed an independent study project specifically in this area. But it's not just taking the classes to gain academic knowledge--I've taken each class, both inside and outside of my major, with this profession in mind. So when we're studying _____ in _____, I've viewed it from the perspective of _____. In addition, I've always tried to keep a practical view of how the information would apply to my job. Not just theory, but how it would actually apply. My capstone course project in my final semester involved developing a real-world model of _____, which is very similar to what might be used within your company. Let me tell you more about it . . . Very much so. In fact, I've had opportunities in both athletics and academics to develop my skills as a team player. I was involved in _____ at the intramural level, including leading my team in assists during the past year--I always try to help others achieve their best. In academics, I've worked on several team projects, serving as both a member and team leader. I've seen the value of working together as a team to achieve a greater goal than any one of us could have achieved individually. As an example . . . Yes, I have had conflicts in the past. Never major ones, but certainly there have been situations where there was a disagreement that needed to be resolved. I've found that when conflict occurs, it's because of a failure to see both sides of the situation. Therefore, I ask the other person to give me their perspective and at the same time ask that they allow me to fully explain my perspective. At that point, I would work with the person to find out if a compromise could be reached. If not, I would submit to their decision because they are my superior. In the end, you have to be willing to submit yourself to the directives of your superior, whether you're in full agreement or not. An example of this was when . . . I would say my greatest weakness has been my lack of proper planning in the past. I would overcommit myself with too many variant tasks, then not be able to fully accomplish each as I would like. However, since I've come to recognize that weakness, I've taken steps to correct it. For example, I now carry a planning calendar in my pocket so that I can plan all of my appointments and "to do" items. Here, let me show you how I have this week planned out . . . If I were to ask your professors to describe you, what would they say? I believe they would say I'm a very energetic person, that I put my mind to the task at hand and see to it that it's accomplished. They would say that if they ever had something that needed to be done, I was the person who they could always depend on to see that it was accomplished. They would say that I always took a keen interest in the subjects I was studying and always sought ways to apply the knowledge in real world settings. Am I just guessing that they would say these things? No, in fact, I'm quite certain they would say those things because I have with me several letters of recommendation from my professors, and those are their very words. Let me show you . . . The key quality should be leadership--the ability to be the visionary for the people who are working under them. The person who can set the course and direction for subordinates. A manager should also be a positive role model for others to follow. The highest calling of a true leader is inspiring others to reach the highest of their abilities. I'd like to tell you about a person who I consider to be a true leader . . .
That's a good question. I realize that it can be very easy to continually look back and wish that things had been different in the past. But I also realize that things in the past cannot be changed, that only things in the future can be changed. That's why I continually strive to improve myself each and every day and that's why I'm working hard to continually increase my knowledge in the _____ field. That's also the reason why I want to become the very best _____ your company has ever had. To make positive change. And all of that is still in the future. So in answer to your question, there isn't anything in my past that I would change. I look only to the future to make changes in my life. In reviewing the above responses, please remember that these are sample answers. Please do not rehearse them verbatim or adopt them as your own. They are meant to stir your creative juices and get you thinking about how to properly answer the broader range of questions that you will face. Zeba Neighba - yes, do not say that. haha definitely agree on that. I just didn't want to come across as unprofessional or not taking the interview seriously! thanks for the advice! Dentistry could use some more humor, Sofia! Probably not the slapstick type during the interview (LOL), but something cute and witty. Great article! Very informative thanks for this. Do you think it's ok to bring humour into interviews? The job I have an interview for i think needs a certain element of humour (its in the dental field) but don't want to seem unprofessional. But on the other hand do want to show my sense of humour. At that position, it looks to me that you learned more about and obtained practical experience in reorganizing and streaming a business, follow-up, attention to detail, policy compliance and what occurs when it is not done, troubleshooting, and others. You learned a lot about how things do not run well and what should be done about it. That's all positive, even if you learned more about it in a negative version of the business. I have 1 question in my recent interviews that just stumps me, I have nothing good to say about my previous boss who I worked very closely with as one of his head managers. I was basiclly black balled out after as he called it "cleaned house" & got everything functioning as it was suppose to, & he had a big problem with me as a peron in general(being a women, minor health issue & religious beliefs). But it's the line of business I'm in there is no room for error & he would constantly ignore policy and procedures because he didn't want to deal with it or it would bring in more money. So me bringing issues to his attention that where serious & did need addresed it would bother him.He actually told me at one piont when another employee had mixed up pt's and reported out the results,I was waisting his time & to get out of his office. (Well when he had the final say I had to go to him,other wise I wouldn't have. )So how do I find something positive to say about him? UGH on the Sense of Entitlement with today's 20 year old (not all of course) but lots do. 8 years ago from Stowmarket, Suffolk.